Sis saw this and said she wants to go for the run. I took a photo of it so that she can remember the info. Hmmmm I thought some of you might be interested as well. It's the 2nd time this run will be on. Run in memory of Ah Meng. 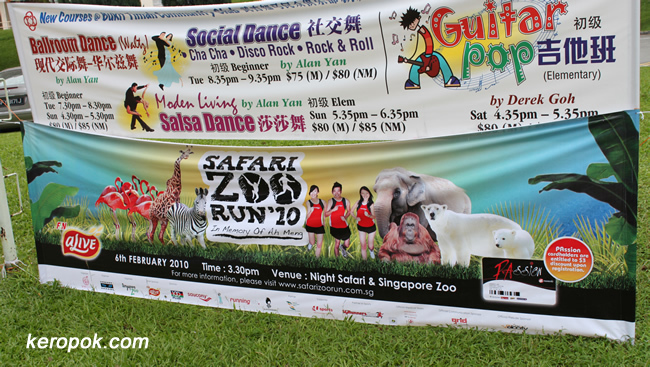 It's on 6th February 2010 - 3.30PM at the Night Safari & Singapore Zoo.